Knife wound reported on Burnside Street in Portland on Friday, Feb. 8. Investigation continues. 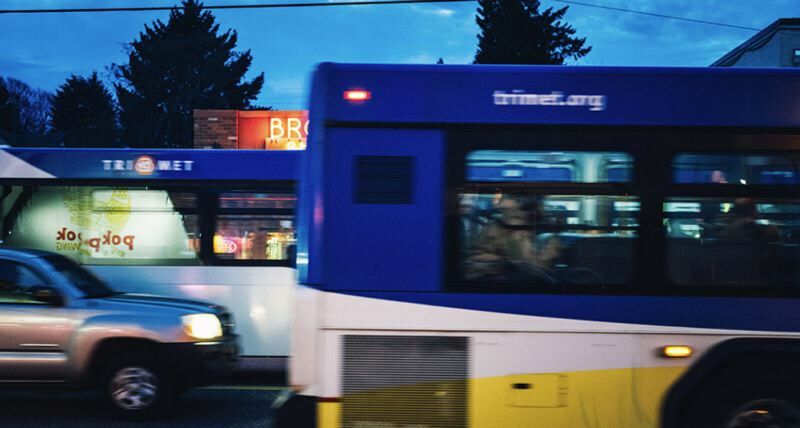 Portland police are investigating after a fight on a TriMet bus spread to the street and left one man wouned. East Precinct offficers responded to the 8800 block of Burnside Street around 8:16 p.m. on Friday, Feb. 8 after learning that a man had been hurt. Officers say the adult man was injured "by a knife." The victim was quickly transported by ambulance to a local hospital for treatment of non-life-threatening injuries. The crime scene was determined to stretch for one block between 86th and 87th avenues on Burnside Street. "Officers learned a fight likely began on a bus and the involved subjects got off the bus at that location," according to a news release. "Transit Police officers are assisting with the investigation. " The suspect is believed to be black man wearing dark clothing who fled in an unknown direction. Anyone with information is asked to call (503) 823-3333.